As one of Michigan’s first mobile app developers, we understand the process of choosing the right developer. It might seem intimidating at first, but you can avoid many pitfalls by simply asking the right questions. 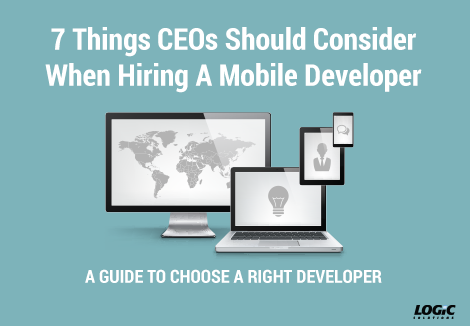 We have turned our popular blog post, “7 Things CEOs Should Consider Before Hiring A Mobile Developer“, into an easy downloadable document that you can take with you as you’re talking to candidates. We even left some space below each paragraph for you to take your own notes. This list will help you remember some important questions to ask as you’re making your selection. What types of apps have they developed? What types of industries do they serve? What platforms do they know? Do they perform the design work? Do they understand how to work with your users and data? Can they help you with deployment? Are they asking the right things? Please fill out the form on the right and see how 7 Things CEOs Should Consider When Hiring A Mobile Developer can help you select your next mobile developer.